The “Liberty County JIC” during the Feb. 2018 APIO Course at EMI. You’ve suddenly found yourself as the chair of your local PIO group! Congratulations! What a great opportunity to lead the enhancement of public information in your area. It can seem daunting to have to wrangle PIOs to get them to attend a meeting, but if you provide valuable content, and someone can help with the occasional snacks or lunch, you can have a robust local PIO group. Below are some topic ideas to get you started with the content for your first meetings. Don’t forget to ask local participants what they would like to learn. Ask for a status update. Ask about any upcoming issues. Hold a tabletop exercise to discuss emergency response or mutual aid plans for PIOs. Conduct a JIC callout exercise. Conduct a workshop where planning or operational documents are researched or created. Invite media members for a discussion . Lessons learned from a recent incident. 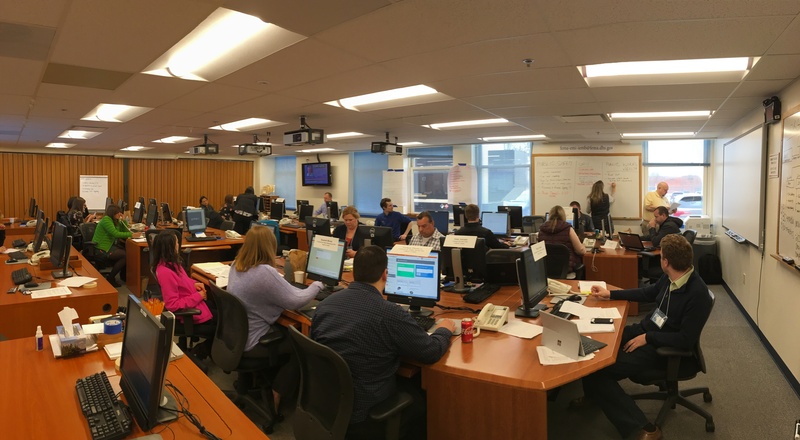 Find a State PIO to discuss their role in assisting your efforts during emergencies. Discussion with local elected officials. What other ideas are out there? What has worked well for you?